Color schemes in 2014 are tempting us with a modern twist on the traditional by adding light, bright and fun to your decorating. The colors include yellow, purple, dark red, teal and khaki and a 'less is more' minimalist look with strong contrasts; moving a few more degrees away from the all white, gray and muted rooms. Think soft pastels along side vivid bright colors. Pastels are great on the eye, flexible and allow you to experiment with color combinations and color schemes without changing absolutely everything about your living room furniture or other areas of your home. Pantone's color of the year Radiant Orchid, is a strong color moving muted color schemes, with lots of white and gray, in a different direction, towards fresh, fun and calm. "This season, consumers are looking for a state of thoughtful, emotional and artistic equilibrium," said Leatrice Eiseman, executive director of the Pantone Color Institute®. As for texture, it's all about contrasting the practical and luxurious to create a perfect balance of opposites. 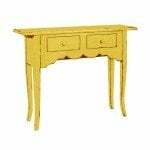 Gilded, carved mirrors against distressed painted furniture, folk or country rugs over polished hardwood floors and layers of softly textured fabrics against industrial polished steel or wrought iron. The wider the contrast them more effective the look. First, let's look at Radiant Orchid selected by the Pantone Color Committee as Color of the Year and replacing emerald in 2013. It's a clear bright color, with purple, pink and fuchsia undertones, which should be used carefully in small amounts when it comes to interior home decorating. 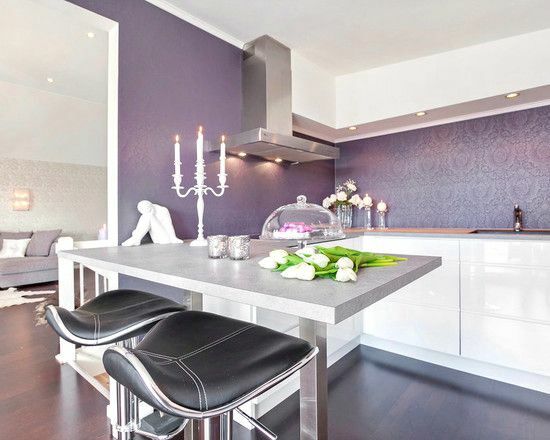 Not everyone is crazy about purple, even if it has a hot new name.But as an accent color is goes with so many colors. Try these ideas and you too could become a Pantone follower. Avoid painting walls in Radiant Orchid unless you are crazy about it. Your wall color holds your color scheme together, so you want to be sure you can live with it before you paint large areas. It can look a little cool and relies on other colors to give it life. Use it one one feature wall, particularly if you want a change from white walls. You can paint or wallpaper one large or small wall. It depends on your room size and your living room furniture. This can be quite intense in bedrooms and can even keep you awake, so test first. 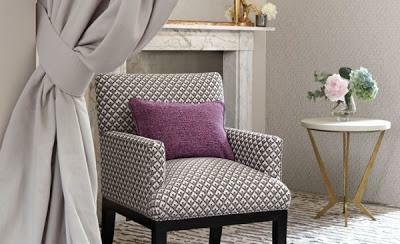 Use pops of Radiant Orchid to paint a chair, a side table or distress a mirror. Use it to complement neutral colored painted walls like soft blues or grays. 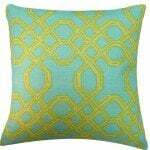 Use it with strong color schemes like turquoise, mint green, orange, fuchsia or aqua. Balance the amounts of color by using similar levels of intensity. Don't allow one color to dominate. If you're not comfortable with Radiant Orchid, don't use it, or use small amounts to see if you could live with it. There are other 2014 colors that could go more elegantly with your living room furniture and existing home decorating. Three very adaptable pastels work well and creatively combined with other colors in the spectrum are Placid Blue, a wonderful calming color with Violet Tulip, a vintage wistful purple and Hemlock, a summery, ornamental green and very different from the emerald green used in 2013. You can use these pastels with a bolder color for a great look. 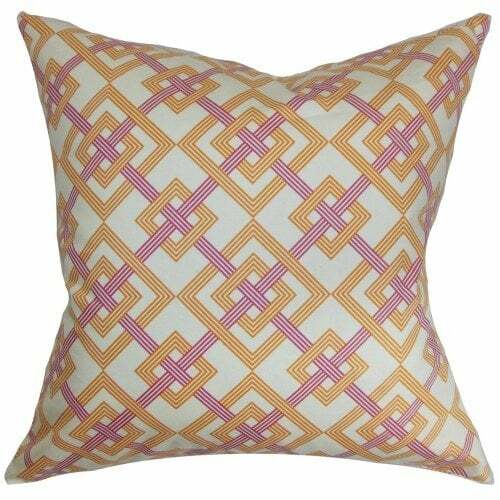 Yellow was well covered in our post Home Decorating Trends 2014 – Yellow! Yellow and darker reds are the main colors for 2014 along with teal blue, khaki, and a blend of Mexican and Spanish ethnic-inspired palettes with sprinklings of earth tones. The yellow in 2014 is called blazing Freesia and is used well with Cayenne red. Cayenne also works well with neutrals. 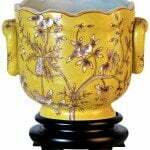 Freesia yellow works well with almost any color but is particularly striking with black, gray, blue, red and green. 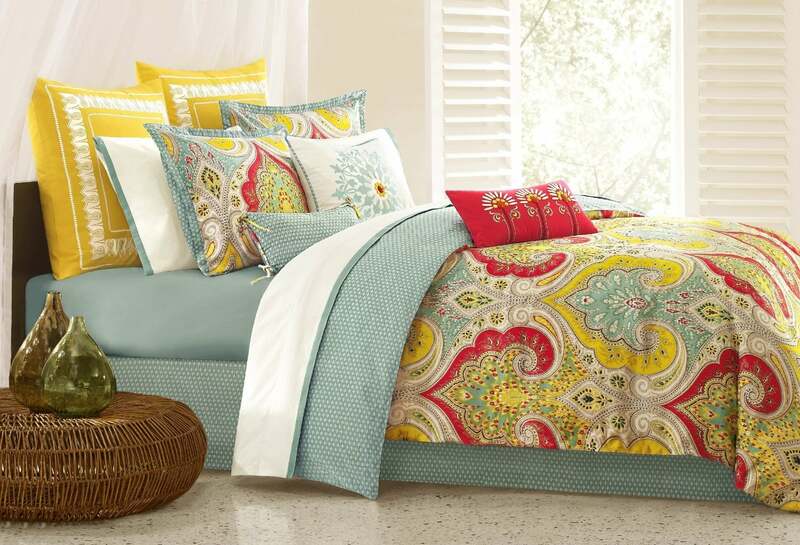 Think of tones that are light, bright and elegant. There should always be a touch of light and bright in a color palette otherwise they tend to look flat and lifeless. Color palettes using more than one strong color in a room can be balanced with natural colors like Pantone 2014 spring hues of sand, taupe, and water or sky blues. This chart created by Glass Tile Store is very helpful to get a better sense of home decorating colors for the coming year. . The two main designs are florals and geometric patterns. 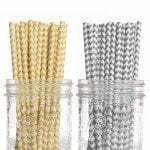 These can be used in a playful way; added to your living room furniture, bathroom , kitchen or bedroom color palettes. 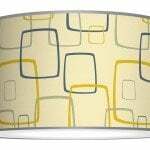 You can also add them to larger areas using wallpaper, fabric, floors, walls or rugs. The theme is cheerful and discreet; using them as accents in soft furnishings is a fast and less expensive way to decorate and can get you a new look simply by experimenting. Geometric and floral patterns were mentioned in the post Floral Designs That Will Have You Skipping into 2014. Use the post as a guide to floral decorating. While geometric and floral designs are easily used in soft accessories; drapes, throw rugs and cushions, you can also use one large piece in a floral fabric or geometric as accent pieces as long as the surrounding soft furnishings and accents are more subdued. 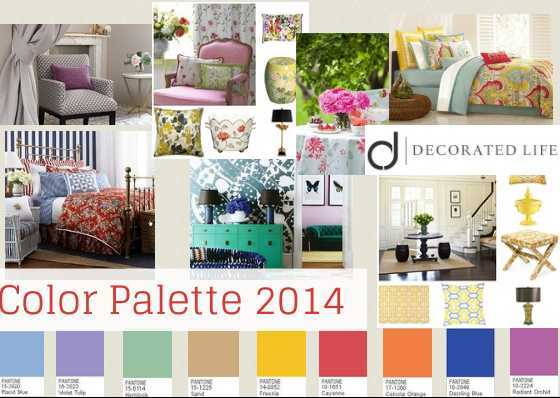 Take care when adding patterns to existing color palettes. They are brilliant at bringing new interest to a room but can be overwhelming if crammed into a space. You may want to read this post on how to layer patterns. Use classics like gingham fabrics for a twist. Gingham's old school charm has graduated and is now mainstream elegant. With darker reds in fashion, use a dark red gingham in soft accessories to deepen and broaden your color palettes. 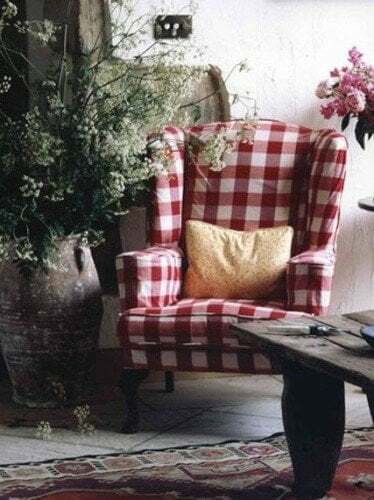 If darker reds are too hard for your color schemes, consider gingham fabrics in muted neutrals like coffee or soft creamy pale yellow. Floral designs and geometric patterns aren't for everyone - you can still layer your look, this time looking at texture. 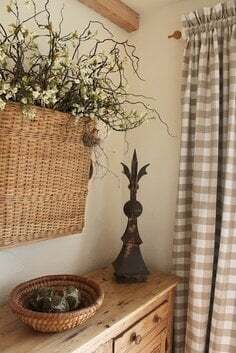 Use layers of texture to add interest to your home decorating. Use each fabric's unique characteristics as a layer. Use your fabric texture selection in more than one place for continuity. Include textured rugs in your list of fabric layers. 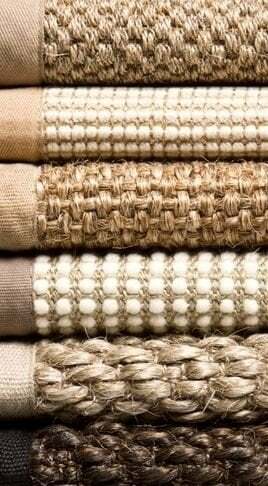 These rugs are classic, inexpensive and go with most living room furniture as well as the color scheme selections for 2014. It should be no surprise that decluttering remains top of the interior design trends for 2014. This is a prefect time to declutter large sections of your rooms and get rid of things that are no longer needed or important in your life. If you are on our email list you've already received your Decluttering guide. If you haven't joined our list yet you can do that here. The Decluttering exercise comes with lists, tables and instructions and its all free. 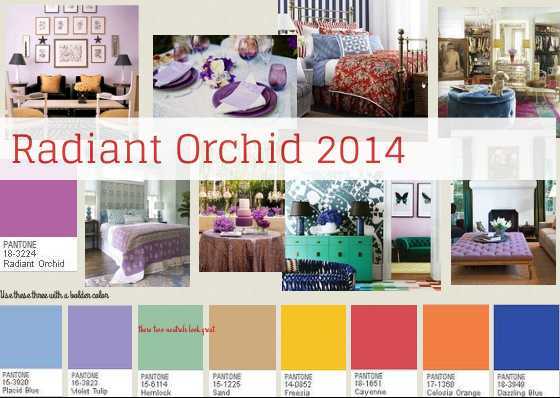 Will the purple shade of Radiant Orchid be making into your home in 2014? Let me know in the comments below, I'm not sure you will.. 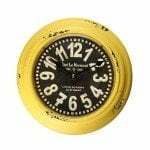 If you liked this post, go ahead and share it using the buttons below and keep reading!